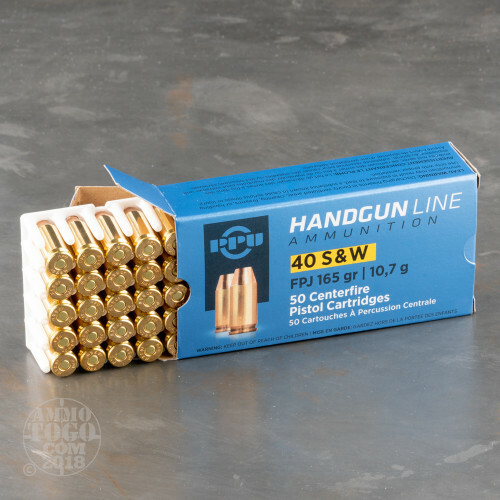 This 40 S&W cartridge by Prvi Partizan features a 165 grain flat point jacket projectile. 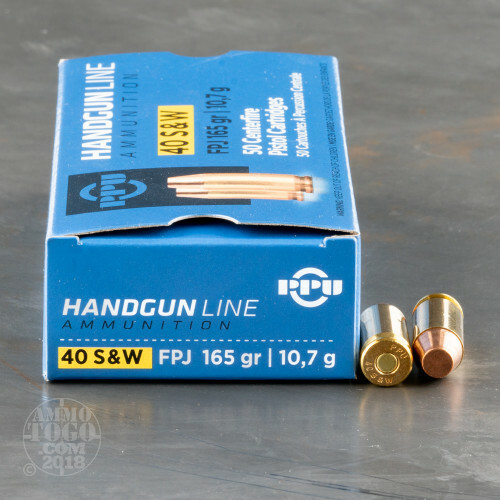 The bullet delivers all the performance benefits of a full metal jacket with its reduced barrel fouling, ability to penetrate targets more easily, and promotion of positive functioning. 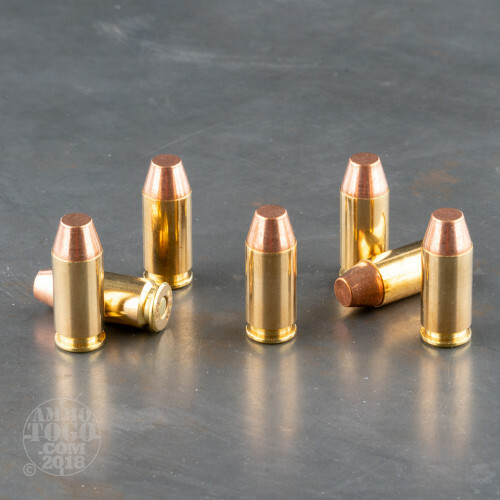 The bullet also sports a flat nose profile, so it has superior stopping power and will punch a relatively cleaner hole through a paper target. 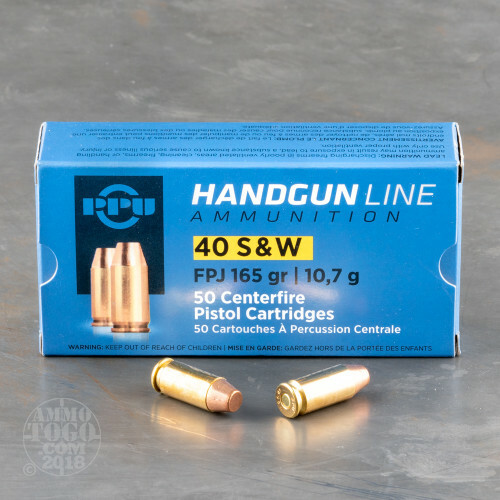 You’ll find that this type of bullet performs especially well out of a revolver, but its tapered profile promotes smooth feeding in a semi-automatic as well. Prvi Partizan is owned by the government of Serbia, which is heavily invested in their products’ quality as their own military utilizes it exclusively. As such this round’s components are first rate, from its concentric and reloadable brass casing to its non-corrosive Boxer primer to its clean and even burning propellant.